Prenna James comes to present day New York when she is twelve years old. She and a group of people have traveled back in time from the future, where the world is in ruin due to an epidemic spread by mosquitoes. Prenna is expected to follow a specific sort of rules, including the strict rule that she must never be close anyone that is not part of the community. But when Prenna begins to fall for Ethan Jarves, she finds it difficult to follow the rules she has always obeyed. I was really excited to read this one because it is by the author of The Sisterhood of the Traveling Pants series, but I have to honestly say that I was extremely disappointed in this book. It was really hard to get through, which is saying something because the entire book is less than 300 pages. I came very close to adding this book to my DNF shelf, but I figured since it was pretty short I might as well power through. Prenna herself was a huge problem for me. I hate to say it but her character was just…dumb. She made stupid decisions that would be obvious to anyone else, and these decisions lead to outcomes that are extremely predictable. Prenna constantly goes on and on about how her “community” was supposed to travel back in time to stop the plague from happening…yet she thought they would do this by attending normal school for the past five years? Why has it taken her this long to realize that nobody is actually taking any action? Another problem I had was the insta-love. This is a huge pet peeve of mine and usually a deal breaker when it comes to a story. Ethan sees Prenna appear randomly one day, which happened to be the day she time traveled, and he is instantly hooked. Prenna is basically in love with him from the moment she meets him, even though there are no sparks between them at all. And Ethan is portrayed as being basically perfect. He’s good looking, super smart and nerdy yet extremely popular, invited to all the best parties at school, great with computers, and somehow manages to acquire a glass cutter and know how to use it. All very convenient–too much so. There were some definitely plot holes also. A few things just didn’t make sense, and then there was this whole thing with a homeless guy that was obviously supposed to be a big twist but just seemed completely weird and way too convenient to the plot. What really bugged me also was that after Prenna and Ethan figure out how they are supposed to essentially save the world, they sit around for two days hanging out by the beach and playing cards? I don’t know if this was supposed to be the relationship building part of the story, but it just seemed odd. Overall, The Here and Now was a huge disappointment that I almost didn’t finish due to the awful main character, insta-love, and plot holes. The premise behind it was interesting but overall the book was a big flop for me. 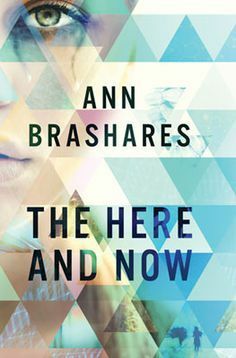 The Here and Now will be released on April 8, 2014.